Identity theft is considered to be a white collar crime because it involves financial motivations without using violence. Just because identity theft is not a violent crime does not mean that authorities do not take this offense very seriously, however. In some cases, identity theft has resulted in victims losing substantial sums of money and suffering great hardship, therefore the law sets out severe penalties for individuals convicted of identity theft. Identity theft cases often involve complex allegations of fraudulent schemes, intentions, and other wrongful appropriation of another’s money or property. Because these cases can be so complex, it is essential that you have an defense lawyer on your side who has extensive experience defending against white collar allegations. The Miami identity theft lawyers at the Baez Law Firm in Miami have successfully helped clients fight against many white collar charges and understand how to mount an effective defense in this type of case. Forging checks or signatures on other documents. There can be many motives for using another person’s identity, including simple financial gain, avoiding an arrest, immigration fraud, tax fraud, government benefits fraud, wrongfully obtaining prescription drugs, and more. Identity theft cases often involve both the underlying identity theft charge and any additional charges that may apply due to subsequent behavior using the false information. Such charges can include false statements to the government, possession of drugs, tax evasion, and more, and can be charged at either the federal or state level. The penalties for an identity theft conviction can vary widely depending on the prosecutor’s specific allegations. For example, impersonating someone else to obtain money or to harass another person can often result in misdemeanor charges. However, possessing or using someone else’s personal information for criminal purposes is generally charged as a third degree felony. The charges can be increased to a second degree felony if the information was used to steal more than $5,000 and to a first degree felony if more than $50,000 was involved. In addition, charges can be escalated if the information of more than 10 or 20 people was taken or used in the scheme. Depending on your specific charges, you may be facing one year to 40 years in prison, along with fines from $1,000 to $15,000. Identity theft is a serious offense and a conviction can have a significant effect on your life. 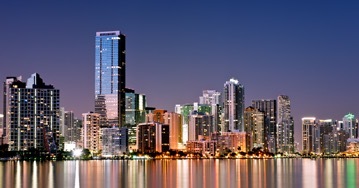 You should never delay in seeking help from a skilled Miami identity theft lawyer who understands the laws in Florida. Please call the Baez Law Firm for a free consultation at 800-588-BAEZ today.